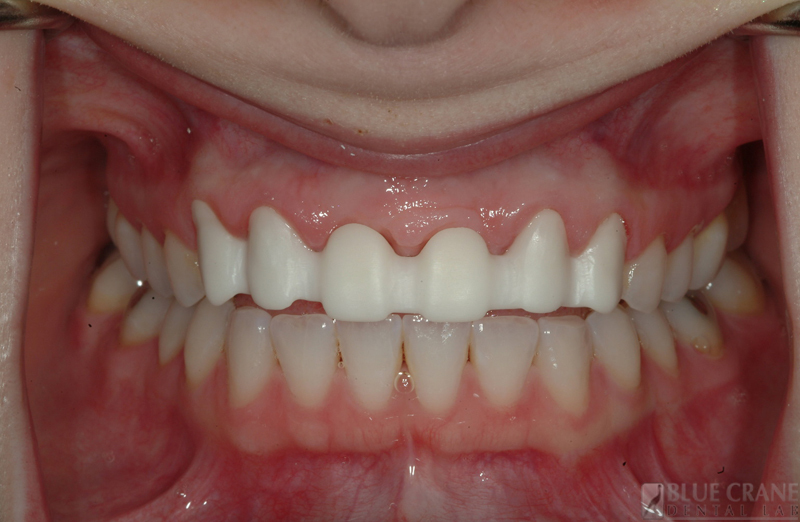 Zirconium oxide frames have become the material of choice for most bridges and Implant crowns in the anterior region with a strength of 1000MPa. As with all ceramic restoration, the success of the case is determined by the design of the prep and the frame. By being involved with the design, we are able to follow a good protocol and achieve a predictable result. The frame is milled from a “chalk-like” block of zirconium. 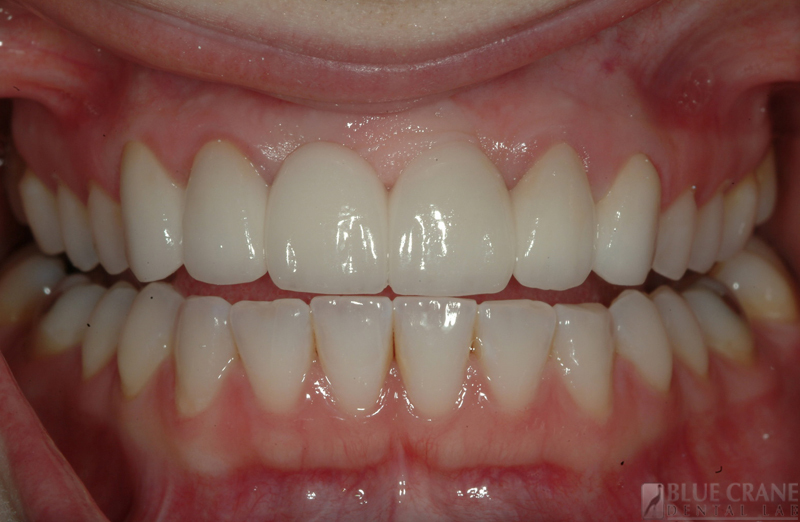 After the precision milling, the restoration is 20% larger than in its final homogeneous structure. This is achieved in a high temperature sintering process. Ceramic is then applied in multiple layers.